Crompton and colleagues recently published the clinical and genetic description of a large family with Familial Adult Myoclonic Epilepsy (FAME). This phenotype is particularly interesting since it provides some insight into how neurologists conceptualize twitches and jerks. It is also a good example that large families do not necessarily result in a narrow linkage region, particularly when centromeric regions are involved. What is myoclonus? Despite usually mentioned in the context of epilepsy, most people are inherently familiar with myoclonus. Most of us “twitch” when we fall asleep and sometimes experience this twitch as part of a dream. These episodes are entirely normal and are called hypnic jerks, but they give people a good idea of what a sudden, brief, shocklike, involuntary movement caused by muscular contraction or inhibition would feel like. Myoclonus in the setting of epilepsy is usually mentioned as part of a Juvenile Myoclonic Epilepsy (JME) or Progressive Myoclonus Epilepsy (PME). Please note that both epilepsies use different endings to describe the twitch (“-us” vs. “–ic”). This is mainly convention. Basically, myoclonus is a brief shock-like twitch, which can affect almost every part of the body and can be due to dysfunctions in various regions in the Central Nervous System. The neuroanatomy of twitching. A motor command from the cerebral cortex has to pass through several steps prior to execution. For example, the simple command of tapping a finger on the table surface is prepared by the cortex through several loops before being sent down your spine. Accordingly, myoclonus can arise from different parts in the brain. (1) The cortical myoclonus is due to a purely cortical source and can be seen in many forms of symptomatic myoclonus. (2) The cortico-subcortical myoclonus is due to feedback from the cortex to other brain areas. This is the myoclonus we see in patients with JME. Both variants may be seen on EEG since the cortex is involved. (3) The subcortical-supraspinal myoclonus is generated in the brain stem or below and is responsible for phenomena such as hyperekplexia or startle disease. 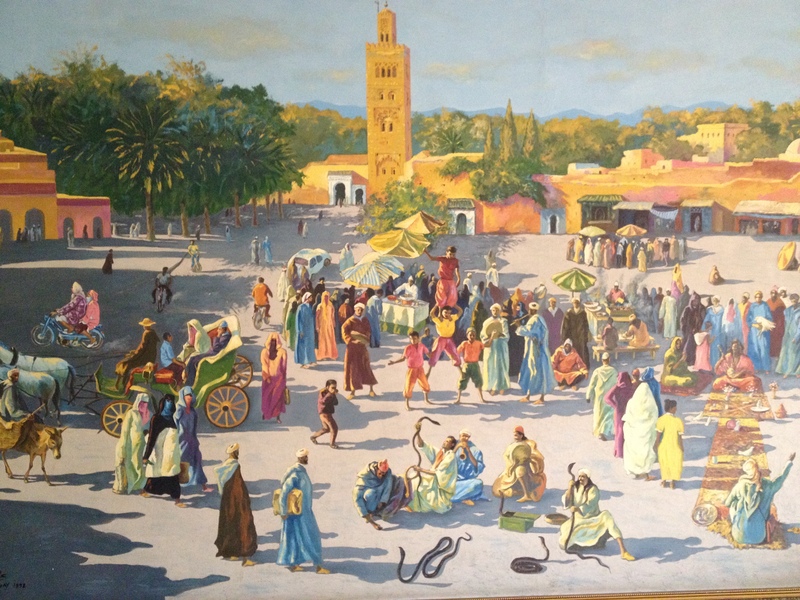 Some forms of hyperekplexia, literally “exaggerated surprise”, are due to mutations in genes involved in glycinergic transmission and can be found in some isolated communities such as the Jumping Frenchmen of Maine. (4) Finally, there is also spinal and peripheral myoclonus. FAME – epilepsy or movement disorder? Familial Adult Myoclonic Epilepsy (FAME) is an enigmatic familial disorder with the triad of myoclonus, tremor and seizures. Several families have been described and two loci on 8q23.3-8q24.11 and 2p11.1-q212.2 for FAME have been established. The underlying genes are still unknown. Crompton and colleagues no describe a large six-generation family with FAME in Australia/New Zealand. The familial disease usually starts with tremor in early adulthood in the affected family members, even though a wide range of age of onset is observed. Interestingly, only a quarter of all affected family members had seizures, which is in contrast to previous studies. Therefore, FAME may actually be better characterized as a movement disorder with concomitant seizures rather than a familial epilepsy syndrome. The authors also point out the difficulties distinguishing FAME from the much more common essential tremor (ET). In particular, the well-described response to β-blockers seen in patients with ET can also be observed in some family members. Figure 1. 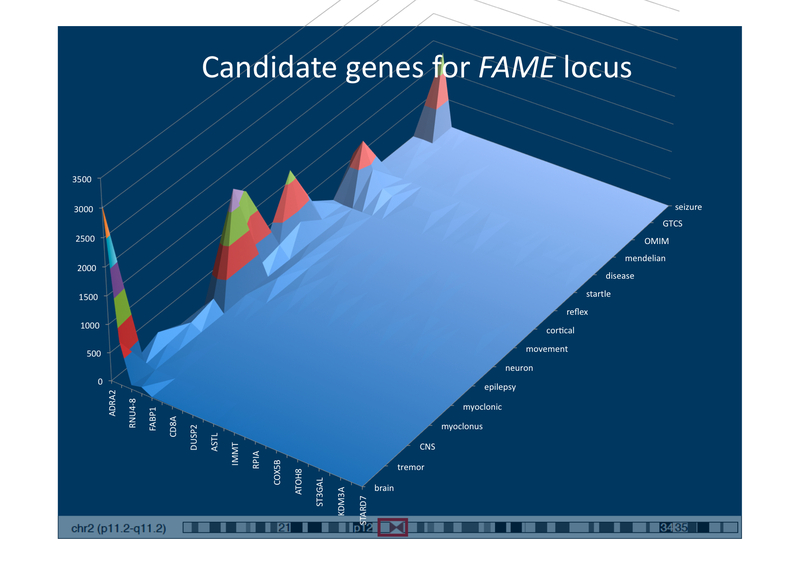 The candidate gene landscape of the chr2 FAME region. All genes were searched for the number of hits in PubMed for the listed search terms in an automated fashion. As usual in large linkage intervals, only few genes are known in the context of neurological disorders, while most genes are unknown. The genetics of FAME. Crossovers during meiosis usually lead to a progressive narrowing of the linkage interval in familial disorders. However, the lack of crossover events leads to very large linkage intervals even in very extended families. The family described by Crompton et al. links to the pericentromeric region of chromosome 2. Pericentromeric regions usually have a low frequency of crossover events, and this phenomenon has also delayed the identification of other familial epilepsies such as Benign Familial Infantile Seizures with mutations in PRRT2. The linkage region contains almost 100 genes and Figure 1 shows the “candidate gene landscape” in this region. While some genes clearly classify as top candidate genes, the majority of the genes in this region are unknown in the context of epilepsy. Therefore, identification of the FAME gene will be exciting and provide us with novel insight on how genetic alterations may produce combined neurological phenotypes. A 21st century gold rush. Collections of biosamples, referred to as biobanks, are sometimes referred to as the ‘gold of the 21st century‘, as these collections will provide the key for translating the findings of biomedical research into patient treatments. The upcoming revolution of personalized health can only happen if well-curated patient samples for DNA, tissues and other biomaterials are available. In many European countries, large government-funded initiatives are on the way to build these collections. So far, so good. DNA colonialism. But what does this have to do with colonialism? The phrase of DNA colonialism has a dual origin and was pretty much invented in parallel in a discussion I had with researches in Israel and Morocco. Given that this idea came up twice independently within a few weeks, it prompted me to put this together as a blog entry. DNA colonialism refers to the phenomenon that researchers from “developed” countries obtain valuable biosamples in “developing” countries for their research. Collaborations with emerging countries are becoming increasingly important given the particular genetic architecture in these countries, which lends itself to gene discovery. Often collaborating researchers in the emerging country are only involved on a very basic level and are sometimes not even involved in the final publication of the data. This phenomenon is frequently observed in the literature when the author list of novel gene findings in consanguineous families do not include researchers from the respective emerging country. 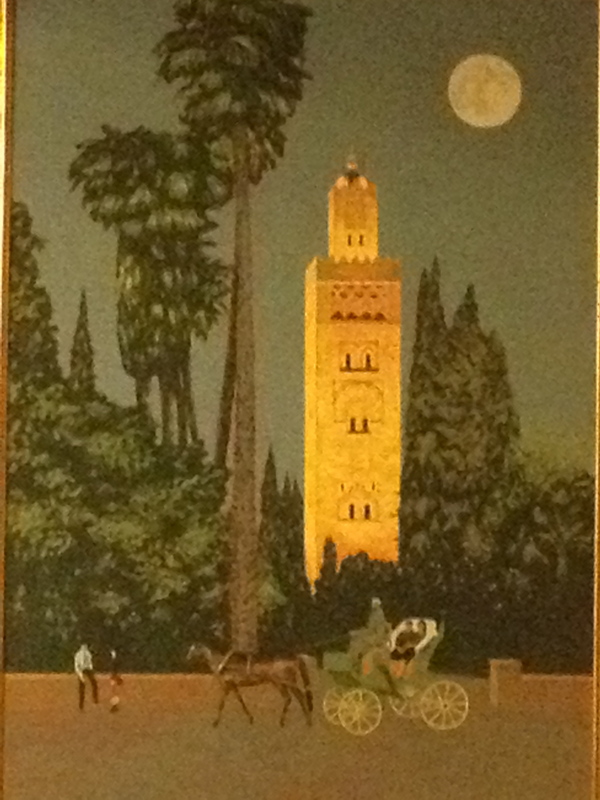 The Koutoubia (Arabic: جامع الكتبية‎ ) is the largest mosque in Marrakech, almost 1000 years old. DNA mining leaves little behind other than empty mines. Within these bilateral collaborations, the genetic architecture of the “developing” countries is mined by Western researchers, which is sometimes interpreted as a modern form of colonialism. While there is little doubt that the findings originating from this research are important, there is little benefit for the emerging country. Examples where the gene findings in families are translated into screening programs are rare and -to my knowlegde- only exists for Bedouin population in the Southern part of Israel. Treatment options based on these findings are even rarer. Instances, in which a partnership between a “developing” and “developed” country has resulted in the creation of infrastructure on site are few. New rules for “DNA trading”. What has to be done to avoid DNA colonialism and what would constitute a fair trade agreement to enable a productive partnership rather than an exploitation of the genetic architecture? Naturally, there is not a single definite solution for this issue, but at least two points may be raised in this context. Biosamples are becoming more valuable. First, the relative value of biosamples in relation to genetic technologies is increasing. The price for Next Generation Sequencing technologies is constantly dropping and samples can be analyzed at much lower costs. This will naturally help the relationship between both partners as the effort to obtain sample is increasingly valued. Also, there is an increasing awareness regarding the IRB-related issues surrounding biosamples. While many researchers still feel that they lose the control over a given biosample once the sample leaves the country, the entire field is getting increasingly sensitized to these issues. Modern material transfer agreements might include well laid-out plans for what happens with samples once they cross international borders. Redistribution, fostering intrinsic motivation. Secondly, research environments in developing countries would need to provide a commitment towards generating a sustainable infrastructure in emerging countries. Despite the naive impression that building good research environments is not possible in countries outside the Western sphere, there are examples that suggest otherwise. For example, the Kanaan lab in Bethlehem, Palestine, represents one of the of the premier labs worldwide for the research of genetic hearing loss and Dr. Kanaan has a strong commitment to establishing methods and technologies on site. As in many other instances, lack for funding for R&D is not a matter of resources, but of distribution. The question of to what extent pure external incentives such as large amounts of funding might help resolve these issues is uncertain, and one of the key challenges would be to foster intrinsic motivation for these issues in young researchers. Implementing some of these issues might help researchers in emerging countries establish long-term plans to generate on-site know-how and infrastructure in order to fully participate as equal partners in international research networks. Eventually, the hunt for epilepsy genes does only start with the identification of these variants. If we ever have the hope that genetic findings in the epilepsies will impact on patient care and treatment, we as the EuroEPINOMICS consortium should strongly motivate our collaborative partners in emerging countries to be more than mere sample providers. The workshop. We would like to invite all young scientists within the EuroEPINOMICS program for a joint workshop on pediatric epileptology in late August this year. As a spin-off of the EuroEPINOMICS program, we successfully acquired funding for this workshop through the Hamburg Academy of Science. The idea behind this workshop is to bring together young clinicians and researchers working in the field of pediatric epileptology for an intensive exchange of experiences and knowledge. Researchers from different areas will have the chance to meet and learn from each other and to initiate new collaborations and networks. 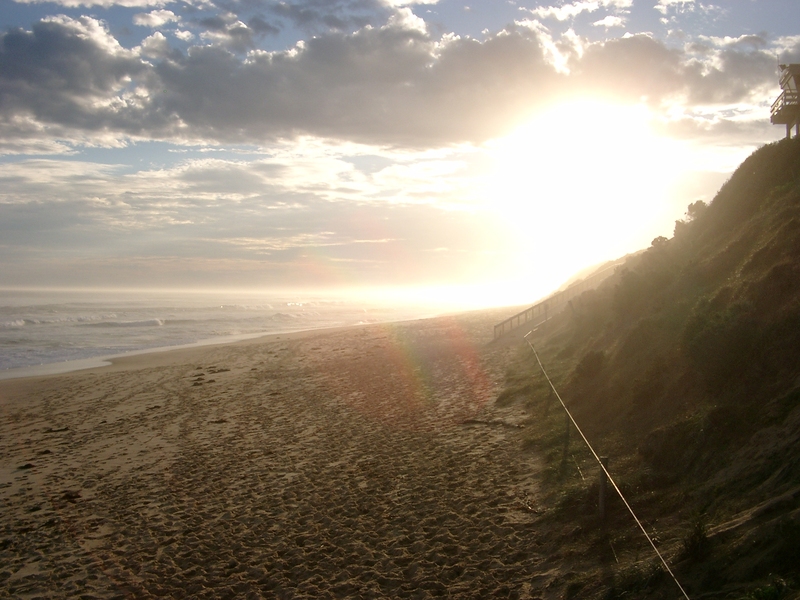 The sun is setting over the Mornington Peninsula, Australia. Much of the genetic architecture of the epilepsies is still an unknown terra australis that needs young researchers to understand it. Preliminary Program. We are planning to have talks by young researchers who will present a broad overview and provide insights into recent discoveries on the genetic causes of pediatric epilepsies, the pathophysiological mechanisms and the clinical relevance. Keynote lectures by experienced scientists including Olivier Dulac (“Is pediatric epilepsy research beneficial?”) and Kristien Hens (“Ethical issues in paediatric epilepsy research“) will provide an interesting framework for this meeting. Additionally, all participants may present their current research projects and critically discuss them with their peers. Following this full work program, we will enjoy the summer evenings at the Baltic Sea in Kiel. Here you will find the links to the flyer and the preliminary program for the workshop. Travel support is granted. We will support participants with the travel expenses and this meeting is without a registration fee thanks to the support of the Academy of Science, University of Kiel and other sponsors. For more information visit our website or contact us on YoungResearchers@epilepsiegenetik.de. We are looking forward to seeing you in Kiel in August. Don’t miss it! Remember Guthrie cards and the heel stick for newborn screening? It will be a thing of the past in 10 years replaced by methods performed through Next Generation Sequencing (NGS). NHGRI and NICHD have already committed to a $25M program for Next Generation Sequencing in Newborn Screening and first reports appear describing the value of exome sequencing in solving undiagnosed cases. However, these reports all leave clinicians working in the epilepsy clinic scratching their heads – this all sounds very good, but what can you offer your patients already, not just in 2-3 years? 265 genes at once. A team led by the EuroEPINOMICS researchers Johannes Lemke and Saskia Biskup has now evaluated the feasibility of targeted Next Generation Sequencing of a panel of epilepsy genes and the results published in Epilepsia last week are quite impressive. With their panel of 265 genes, they identified mutations in 16/33 patients with unclassified, presumably genetic epilepsy. While the overall yield of this candidate panel is probably lower than the impressive 50% in their pioneer study, these results clearly show that the general workflow in the epilepsy clinic is ready to shift from candidate gene screening to Next Gen panel analysis. New and old genes identified. 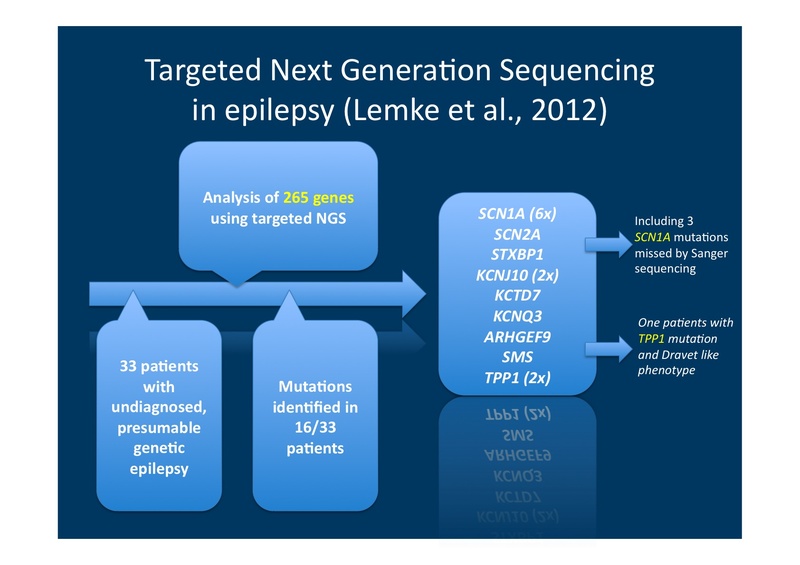 The list of genes identified in their screening is a mixed bag of epilepsy genes, many of which were identified in syndromes with a high degree of clinical suspicion including mutations in SCN1A, SCN2A and KCNQ3. Interestingly, some unlikely candidates also popped up. One patient with a clinical picture of Dravet Syndrome (DS) had a mutation in TPP1, the gene causative for Neuronal Ceroid Lipofuscinosis Type 2. This unexpected finding highlights another important “side-effect” of NGS: we will probably discover many unusual phenotypes for known disorders. You wouldn’t think so, but panels are sometimes more thorough. Lemke and coworkers identify mutations in SCN1A in three patients with DS. This alone would not be all that remarkable. However, these three patients were previously reported to be negative for SCN1A by Sanger sequencing. This phenomenon is not new. In addition to identifying GABRA1 in SCN1A-negative DS, Mefford and colleagues also identified a mutation in SCN1A by exome in a patient with DS that was missed by conventional sequencing. While it is difficult to compare exome and conventional sequencing, these two anectodes at least suggest that NGS is not fairing any worse than conventional methods. Study by Lemke et al. demonstrating the usefulness of targeted NGS in patients with epilepsy. Unlike few other genetic technologies, targeted NGS is very likely to alter your work flow in clinic at short term. Targeted sequencing vs. exome. In the upcoming 12-24 months, we expect an intense debate on whether targeted sequencing is actually necessary or whether you could directly apply diagnostic exome sequencing. Targeted technologies – for now – have the advantage of the higher coverage, i.e. the eventual quality and completeness of candidate gene sequences higher than in exome studies. However, the field is evolving and the next, better technology might already be around the corner. Party like it’s 1995. Just imagine we are back in 1995 and we were asked the following question. “I would like you to tell me our opinion about the possible success of two different online encyclopedias. Type A is financed by the world’s largest software company, which has dedicated a generous budget to this project that pays both a highly qualified staff of writers and an experienced management team. Type B is a voluntary encyclopedia with no budget, established through people dedicating their spare time. In 15 years from now, which online encyclopedia will still exist?” In 1995, there was probably not a single person who would have put his or her money on Encyclopedia B based on this description. However, Encyclopedia B has evolved into one of the world’s largest online knowledge repositories, while Encyclopedia A closed its doors for good in 2009. Wikipedia vs. Encarta. If I tell you that Encyclopedia B is Wikipedia and Encyclopedia A is Microsoft’s Encarta, this story makes sense to you. Daniel Pink provides this example in his book “Drive”, which tries to explain the secrets of human motivation. In brief, in contrast to the prevalent belief that strong incentives such as money or titles are the main drivers of human motivation, this “carrot and stick” method only gets you so far and will produce people being productive for the reward, and not for the issue itself. Pink identifies three elements that are the main drivers of motivation, namely Autonomy, Mastery and Purpose. In brief, Wikipedia became what is today by enabling people to work autonomously, to engage their expertise and to feel a sense of purpose through a shared experience and feedback, something that millions of dollars by Microsoft could not buy. Motivational theory. Pink’s arguments are nothing new. They are based on scientific investigations by Deci and Ryan in the 1970s, who conducted sophisticated psychological experiments to analyse human motivation and who identified these three elements as part of their self-determination theory of motivation. Application to research. 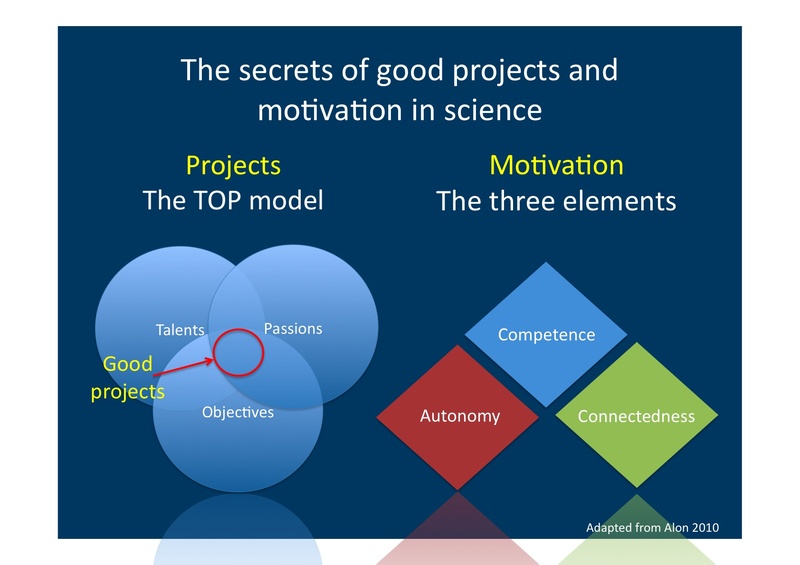 Uri Alon from the Weizman Institute has re-interpreted these results for the field of science in a freely available comment in Molecular Cell, identifying Competence, Autonomy and Social connectedness as the three elements that apply to science. Competence basically relates to working in an environment that is neither too boring nor too challenging. In research, we are mainly faced with leaving people with a task that is too challenging for their current knowledge level. For example, suggesting that a Young Researcher design a sophisticated genome-wide association study on pediatric pharmacology without any prior knowledge of biostatistics is too challenging, eventually decreasing motivation. Altering the project to a candidate gene screening will eventually increase the researcher’s motivation, despite the possible lack of scientific ingenuity. However, in the end, the second option will be more productive for the team as the young investigator is capable of working at her or his level of competence. Autonomy refers to a related issue. You can only be motivated in science when you perceive a sense of independence and an intermediate level of structure. Not too structured and not too independent. The third strand of motivation in science is Social Connectedness. It’s the proverbial water cooler discussion, the environment that gives you a sense of belonging, the interesting paper that was pointed out by that guy next in the lab next door, the senior postdoc who has nothing to do with your project, but who is happy to have a look at why your PCR isn’t working. Networks have been the main driver of scientific innovations over the past centuries, which is “Where good ideas come from”, as authors Steven Johnson puts it. Naturally, the science network arising from research consortia such as EPICURE or EuroEPINOMICS is much more than just a collection of scientists. These networks are organic entities and the ideal breeding ground for scientific innovation in the field. The hidden secrets of motivation. How motivation works in science and how to choose projects that are ideally suited for you in epilepsy genetics. When scientific projects are really well suited for you. Uri Alon goes on to re-interpret these three elements in the context of scientific projects, suggesting a so-called TOP model (Figure). Projects are particularly well suited for you if they manage to completely engage you, drawing on your talents, your passions and your goals. Epilepsy genetics of the future will be multifaceted with many different niches and subfields that might allow a broad range of scientists with different backgrounds and motivations to contribute. Touching upon diverse fields such as genetics, neuroscience, social sciences, public health, etc., researchers with “cross-over skill sets” will be crucial. The age of the lonely genius researcher hiding out in his secret lab to eventually emerge with a Nobel-prize winning flash of inspiration is over, if it has ever existed. The science of the future will be network science and “chance favors the connected mind”.